After splitting the first two games of a series that many fans, analysts and pundits probably considered to be a battle between two disappointing ballclubs rather than a competitive bout between to postseason hopefuls, the Milwaukee Brewers took the rubber-match of a three-game set with the Chicago Cubs this week by a 4-3 margin in extra-innings on Thursday. The win pushed Milwaukee to 26-31 this season, currently enough for fourth place in the National League Central division. Brewers southpaw and struggling veteran starter Randy Wolf tossed 6.2 innings of solid ball, conceding just one run of which was not earned on four hits and two walks to just six strikeouts. Corey Hart, George Kottaras and Ryan Braun provided the offense for Ron Roenicke’s bunch, going a combined 4-for-11 with two runs batted in and a run scored. Of course, they weren’t the only players who broke out the lumber against the south-siders. Former three-time Japanese batting champ and previously questioned offseason pickup Norichika Aoki went 3-for-5 with two home runs — including a walk-off line drive blast over the right-field wall that ended the game for the Brewers in the bottom of the tenth — which was enough to tally three runs scored and two runs batted in. Aoki’s staggeringly unexpected display of raw power on Thursday now gives the 30-year-old a slash line of .303/.357/.487 in 134 plate appearances this season. For an off-the-bench type player who’s slated to make exactly $1,000,000 this season, that’s pretty impressive. Just what makes Aoki so effective as a hitter? First and possibly even foremost, he just knows how to make contact with the baseball. This season, Aoki leads all non-injuired Brewers with a contact rate of 88.6% as well as a swining-strike rate of 4.6%, according to Fan Graphs. To put that into some perspective, both of those rates we just mentioned trump Ryan Braun’s contact rate of 80.1% and swinging strike rate of 9.5%. Moreover, compared to the current league average swinging strike rate of 8.8% and contact rate of 80%, it’s easy to see that Aoki’s bat has been well-above average from a pure bat-on-ball standpoint. The chart below is a subtle attempt to provide an eye-friendly representation of how effective Aoki’s bat has been at making contact on a variety of pitches thus far this season. For me, the biggest takeaway from this chart is that when Aoki swings, he rarely misses. The only pitches that one could say he “struggles” to make contact with would be the slider and changeup, however, generally speaking, those two whiff percentages are well above average compared to many hitters this season. Probably the second-biggest lesson learned from this table has to be Aoki’s swing percent against curveballs and sinkers. Against the curveball up to this juncture of the season, he’s swinging at just 33.3 percent, and against sinkers, he’s pulling the trigger just 29.4 percent of the time. As we all (should) know, these can not only be two of the hardest pitches to hit, but they can also be two of the most difficult to not swing at. To put Aoki’s plate discipline against these pitches into some perspective we must compare and contrast. Joey Votto, arguably MLB’s most disciplined left-handed hitters right now, is swinging at just 33 percent of curveballs and 38 percent of sinkers. A final way we can look at Aoki’s advanced approach at the plate is to look at his at-bat results. The graph below Aoki’s spray-chart this season. While Aoki has struggled a bit with infield groundouts, we can conversely see that he has done a tremendous job in spreading the ball to all fields. And despite his falling-away slap-hit style of hitting that many believe should make him largely an opposite-field hitter, he’s been able to pull the ball into the right field corner more often then you’d think. On Thursday, Brewers fans were made aware of that fact with his multiple-home run affair over the right field wall. In the midst of the palpable stuggles of many Brewers hitters this season, Aoki has come in and has done a magnificent job for manager Ron Roenicke off the bench. He’s been an extremely disciplined hitter at the plate and rarely gets cheated in an at-bat, and that in turn has helped Milwaukee remain relevant in the divisional postseason race. But, really, should we be surprised? The Milwaukee Brewers came into their first spring training workouts this week with what looked to be a plethora of question marks and concerns about their club moving forward. But when news broke over Ryan Braun’s reported successful drug-testing appeal to Major League Baseball that would eradicate his previous 50-game suspension, a large chunk of their uncertainties were put to bed. But even with Braun now set to join the Brewers in Maryvale Baseball Park in Arizona for what now looks to be a promising start to their NL Central title-defense, there are plenty of question marks concerning Milwaukee as preseason workouts and games begin to commence. Let’s take a gander at a few of those question marks. Is Rickie Weeks Anywhere Near Full Health? Rickie Weeks has grappled with injuries throughout his career, but his latest wound could be a real concern moving forward. Suffering a serious ankle injury in late July, Weeks’ struggled to find his rhythm offensively after returning late in the regular season and all through the postseason. Brewers manager Ron Roenicke was quoted earlier this week saying that an injury of Weeks’ magnitude will likely have an impact on how well he is able to perform on a day-to-day basis. If that’s the case, then what should Brewers fans expect out of Rickie Weeks this season? How well is his ankle currently? These are just a few questions concerning the future of Milwaukee’s second baseman as spring training heats up. Who Will Bridge the Gap Between the Starters and Late-Inning Relievers? Veteran relievers Takashi Saito and LaTroy Hawkins were able to bridge the gap between Milwaukee’s starters and their go-to late-inning relievers with great efficiency last season. Unfortunately, both left through free-agency this past winter — who will step up and assume that key role? Cameron Loe has always been considered at the very least a serviceable middle-inning reliever but has been inconsistent at times. Newly-acquired right-hander Jose Veras (left) has proved to be a strikeout-oriented relief-man throughout his career. How about Marco Estrada or potential 22-year-old call-up Wily Peralta? Needless to say, Ron Roenicke and pitching coach Rick Kranitz have quite the conundrum on their hands as opening day creeps closer. Can Mat Gamel Be Trusted? Mat Gamel has been waiting in the wings for his shot at the full-time staring job at first-base for a while now. And while he brings a tremendous amount of minor-league proficiency, his short-lived tenure in the big-leagues has been disheartening to say the least. Since breaking through to the majors back in 2008, Gamel has logged 194 plate appearances but has only a .222 BA to show for it. He has also notably struggled with strikeouts and is probably below-average with the glove, as well. According to Brewers beat-writer Tom Haudricourt of the Milwaukee Journal Sentinel, Gamel says he’s currently in the best shape of his life and has refined his craft considerably over the offseason. If that holds true, Gamel could be in for a breakout season at first-base. But right now, Brewers fans will have to see it before they can believe it. With Braun Back in the Picture, Where Does Nori Aoki Fit In? General manager Doug Melvin inked three-time Japanese batting champ Norichika Aoki last month to help fill the void that would have been left by Ryan Braun if not for his overturned suspension. But with Braun now back in the picture, where does (and will) Aoki fit in? With his potent bat and substantial experience playing every corner of the outfield, one would have to assume that manager Ron Roenicke can find a spot for Aoki in the lineup — but where and how often will he take the field? Is Shaun Marcum Past His Postseason Woes? After a scintillating regular season where he staked his claim as arguably baseball’s best away-from-home pitcher, Shaun Marcum struggled greatly during postseason play. In his first three career playoff starts, Milwaukee’s first preeminent offseason acquisition logged just 9.2 total innings and conceded 16 runs, all of which were earned. He only managed to strike out five batters and allowed an uncharacteristic three home runs, additionally. Marcum is a seasoned veteran with a ton of experience but his postseason mishaps have left fans worried throughout the offseason. Will he rebound and return to his steadfast self or will his indelible struggles perpetuate into this season? Is Alex Gonzalez Really a Substantial Upgrade over Yuniesky Betancourt? Expectations for newly-acquired veteran shortstop Alex Gonzalez will be very high this season. 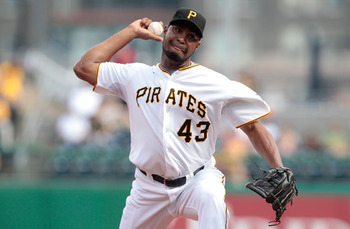 After watching Yuniesky Betancourt commit 21 errors in 149 games last season with little dependability in 2011, Gonzalez will be on a rather short leash when it comes to making mistakes in the field. But do fans even need to worry? Gonzalez, who has north of 12 seasons playing shortstop at the major league level, has become notorious for his efficiency and range with his glove. With a career .972 fielding percentage and 4.23 range factor, he’s been one of the most dependable defensive shortstops in baseball since entering in the league in 1998. Nevertheless, two questions need to be asked: Firstly, Will Gonzalez’s defensive capabilities be worth the $4.25 Million the Brewers will fork over to him this season and secondly, and more importantly, will there be a noticeable difference between Gonzalez’s game and Betancourt’s game in the field? 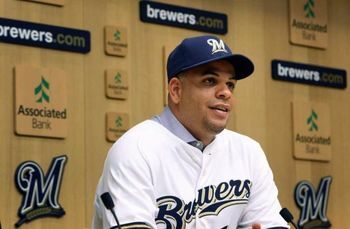 Will Aramis Ramirez Provide Enough Protection for Ryan Braun? Ryan Braun may be back, but that doesn’t necessarily solve the Brewers’ problems on offense. Now without Prince Fielder for the first time in close to eight seasons, free-agent addition Aramis Ramirez now likely protecting Braun in Milwaukee’s lineup. The appropriate question now worth asking is: Can Ramirez provide adequate protection for Braun this season? Ramirez, who will turn 34 years young in July, has seen his production slip gradually over the past few seasons, and hasn’t put together a “full” season since he played 149 games back in 2008. Will his aging body hold up as the season progresses? For that matter, will his waning bat even be enough to give the 2011 NL MVP protection? His production at the plate will go a long way in determining whether or not Milwaukee makes it back to the postseason. 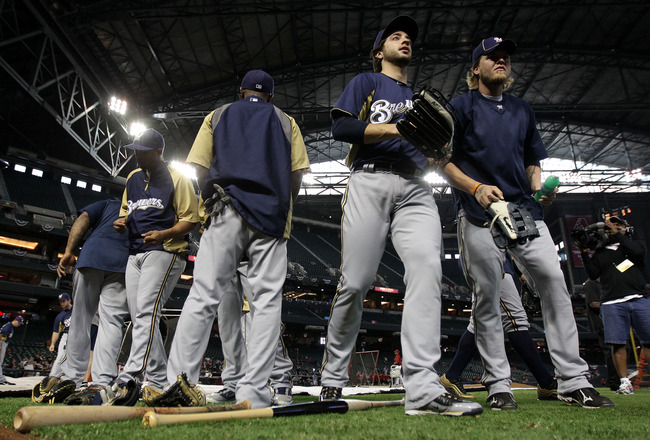 Alec Dopp covers the Milwaukee Brewers as a featured columnist at Bleacher Report. Follow him on Twitter @alecdopp and read his blog. 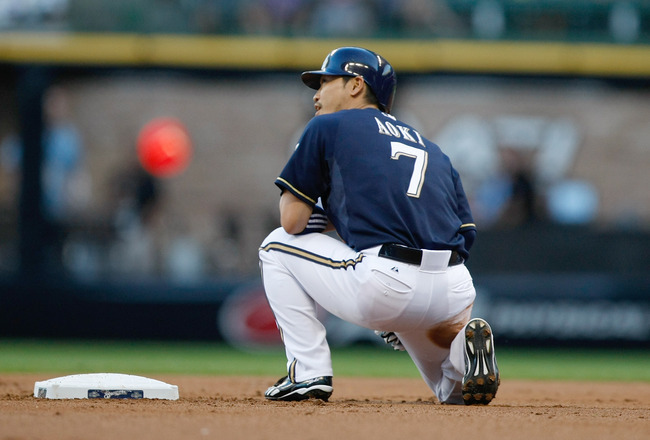 MLB Free Agency 2012: What Does Norichika Aoki Bring to Milwaukee Brewers? When Major League Baseball handed down a 50-game suspension to recently named 2011 National League MVP Ryan Braun earlier last month on the grounds of failing a mandatory drug test sometime last October, Milwaukee Brewers GM Doug Melvin had a decision to make — and a fairly important one at that. Facing the prospect of his club playing out virtually the first third of their 2012 regular season without their preeminent slugger in his usual spot in the lineup, Melvin had to decide whether to replace Braun with internal talent already in place — Nyjer Morgan, Carlos Gomez and/or a bevy of up-and-coming prospects — or to search the free-agent market for a modest replacement. To the surprise of many, Melvin placed a bid on 30-year-old Japanese outfielder Norichika Aoki, and won negotiating rights to the longtime overseas star. The winning bid was worth approximately $2.5 Million dollars on and the Brewers then had until mid January to negotiate a deal. This past weekend, Melvin, manager Ron Roenicke and bench coach Jerry Narron took to Maryvale Baseball Park in Phoenix, Arizona to evaluate Aoki’s hitting, fielding, and speed. They must now decide whether or not to pursue signing the 30-year-old outfielder to a contract for this upcoming season. With Braun’s impending 50-game suspension looming, the Brewers certainly have a need for depth off their bench to start next season. The loss of Jerry Hairston, Mark Kotsay and Josh Wilson this offseason has depleted Milwaukee’s support off the bench. 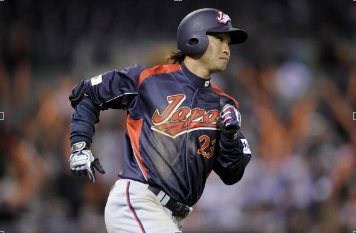 Adding Aoki, who has a considerable amount of speed in the field and on the base-paths, could prove vital. Aoki has played five seasons in the Japan Central League as a member of the Yakult Swallows, harboring a .329 BA, 68 HR, 295 RBI, 451 runs scored and 93 stolen bases. Only once has he posted an on-base percentage below .400 in a season and he has twice garnered an OPS above .940 from the left side of the plate. Scouts have classified Aoki as a disciplined, line-drive type hitter who loves using the entire field. He has great range in the outfield but has a below-average arm. We’ve seen Japanese hitters fail to make the transition to the Major Leagues before. With that in mind, the Brewers would prefer a one-year contract, and then determine if he’s worth bringing back next offseason, according to sources. The Brewers have until 5 p.m. ET Jan. 17 to complete a deal or their posting fee will be returned. We’ll keep you updated throughout the week as information becomes available.